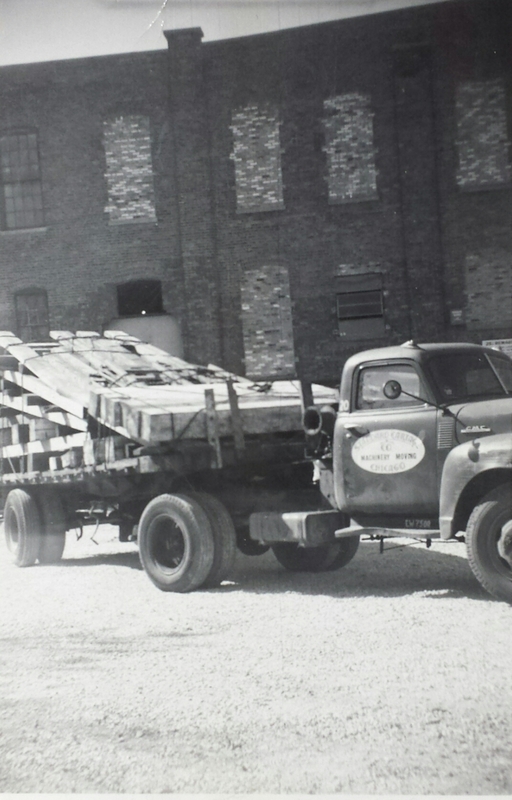 Standard Cartage’s original owner founded it as a trucking company in the Chicago area in the 1930s. 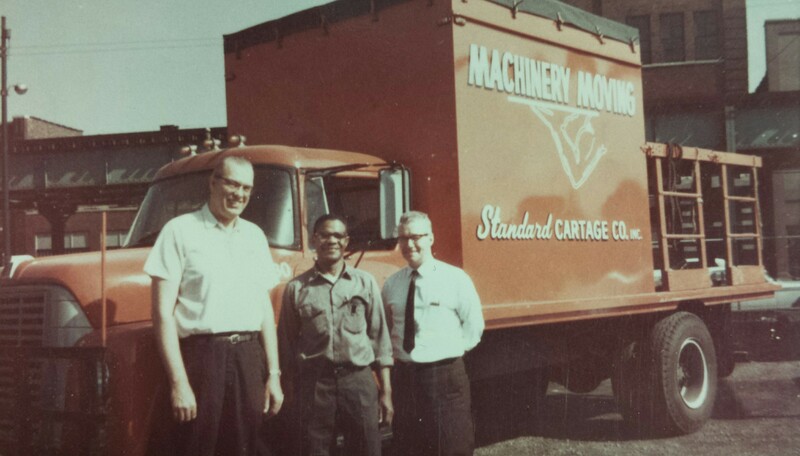 In the 1950s, William Stoub bought Standard Cartage and it is currently owned by one of his sons and two of his grandsons. 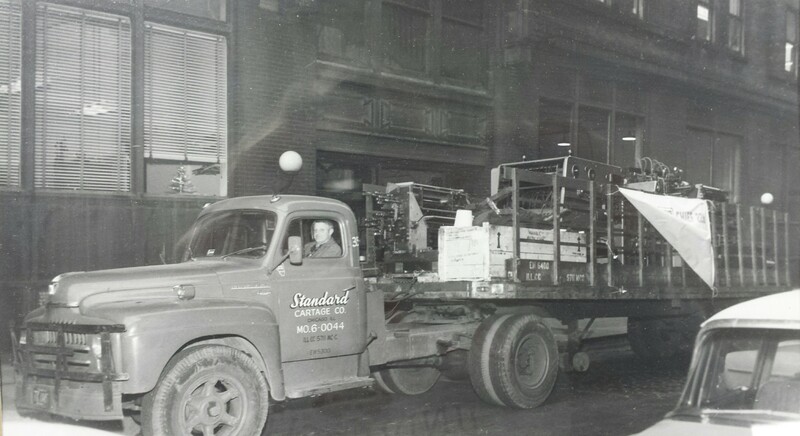 Early on, Standard found a niche moving printing equipment for printers located in and around the Chicago Loop, including the Printer’s Row neighborhood. At that time, loft buildings housed many of the printers, requiring special rigging equipment to move presses in and out of the buildings. Standard Cartage fulfilled that requirement and quickly developed experience rigging presses in elevator shafts, one of its early specialties. Before long, Standard Cartage branched out to move other types of machinery into and out of the skyscrapers that were becoming more and more common in Chicago. Over the last thirty years, Standard has worked increasingly for the heating and air conditioning, electrical equipment and computer equipment industries. They handle the most challenging moves: through small windows, openings in roofs and walls, and elevator shafts. In 2002, Standard Cartage moved from its location just west of the Loop to a 38,000 sq.ft. building in Broadview, a western suburb of Chicago. The large warehouse allows them to offer warehousing services. They can conveniently receive your valuable equipment, store it safely in a controlled environment, and reload it for delivery when you need it.